Both prebiotics and probiotics are essential components of a healthy diet. Prebiotics are indigestible carbohydrates that act as food for probiotics, which contain live bacteria. Together, they help promote the growth of the good bac- teria in your intestines and maintain your gut’s ecosystem. When a food contains both substances, it is called synbiotic: a synergistic combination of the two. Onions and garlic are terrific sources of prebiotics, so use them liberally. Other sources are asparagus, artichokes, dandelion greens, leeks, and chicory. Prebiotics are a form of dietary fiber, prebiotics occur naturally in plants, although in tiny amounts. They are resistant to heat from cooking and to stomach acid, and they cannot be digested. They move through the digestive system to the large intestine, where they nourish beneficial gut bacteria. There’s no need for prebiotic supplements. However, you could look for cereal and bread with prebiotics added. *Help stop diarrhea, including bouts that happen as a result of taking antibiotics. *Stave off vaginal yeast infections and urinary tract infections, and help treat those that may occur anyway. *Ease the symptoms of irritable bowel syndrome. *Lower the risk of bladder cancer recurring. *Help with healing intestinal infections more quickly. *Ward off eczema and aid in curing established cases of the condition. *Reduce the likelihood of contracting colds and flu, and make the illnesses less severe if they do happen. Here are some good sources of probiotics. Look for the words “live active cultures” on the label that tells you the yogurt is a source of probiotics. Yogurt is considered synbiotic because it contains both the bacteria and the fuel the bacteria need to thrive. In addition to all the other reason that probiotics are good for you, yogurt turns out to have an additional benefit. A University of California, Los Angeles study of women who regularly consumed yogurt with probiotics provides the first evidence that changing the bacterial environment, or microbiota, in the gut can positively affect brain function. The lead researcher, Karen Tillisch, M.D., noted that many people eat yogurt because they like it or for the calcium content, but the study findings indicate yogurt may do much more that that It may change the way a person’s brain responds to the environment. In fact, just 4 weeks of yogurt-with-probiotics consumption was enough to show a difference in the activity of brain regions that control central processing of emotion and sensation. Most probiotic products have never been studied. Dr. Tillisch pointed out that these products contain different strains of bacteria. As for whether or not different people need different strains, or whether some strains are more beneficial, the jury is out until more research is done. She did observe that some studies have shown that people with irritable bowel syndrome do better when they eat yogurt containing probiotics. That observation brings us back from the fascinating research on yogurt and the brain to the effect of yogurt on your gut microbiota. The probiotics in yogurt help balance your intestinal system by restoring your supply of good bacteria, which was depleted by Candida overgrowth. Probiotics are thought to keep Candida from growing any fur- ther because of antifungal substances that the good bacte- ria release. They also give off lactic and acetic acids, which keep your gut acidic, the way it should be. Kefir (pronounced kee-fur) is a fermented probiotic drink made by mixing milk—preferably goat, sheep, or coconut milk—with a starter usually referred to as “kefir grains.” The drink is thought to have originated in the northern Caucasus Mountains around 3,000 b.c. You can easily make kefir at home. Kefir starter kits, which are sold online, typically only last for five to seven uses. However, if you buy the grains themselves instead, which are also available online at Amazon and other sites, you will have more and more grains left each time you create a batch, and you can reuse the grains indefinitely. Each batch takes about 24 to 48 hours to ripen. Sauerkraut, which is German for “sour cabbage,” is fer- mented with the probiotic bacteria leuconostoc, pediococ- cus, and lactobacillus. Warning: Don’t buy the pasteurized sauerkraut sold in most supermarkets. The process of pas- teurization kills the beneficial bacteria. Do an online Goo- gle search for “unpasteurized sauerkraut” instead. This is the national dish of Korea. It is made by ferment- ing vegetables such as cabbage, radishes, scallions, and cucumbers. The flavor is both spicy and sour. There are many varieties and all of them not only have probiotics but are also good sources of vitamins. The Japanese have this fermented soybean paste for break- fast and it’s also often made into a soup. Miso has more than 160 strains of probiotic bacteria. Another probiotic food made from fermented soybeans, this one is a high-protein Indonesian patty that has a natu- ral antibiotic. The flavor is not unlike that of a mushroom. The patty can be a substitute for red meat. Beyond eating yogurt and drinking kefir, you could take one of the many probiotic over-the-counter supplements available in either capsule or powder form. They are equally effective. Taking the supplements with food helps with efficient delivery of the bacteria. As always, check with your doctor and pharmacist before taking any supplement. Read labels carefully since the various products contain differing amounts of bacteria. 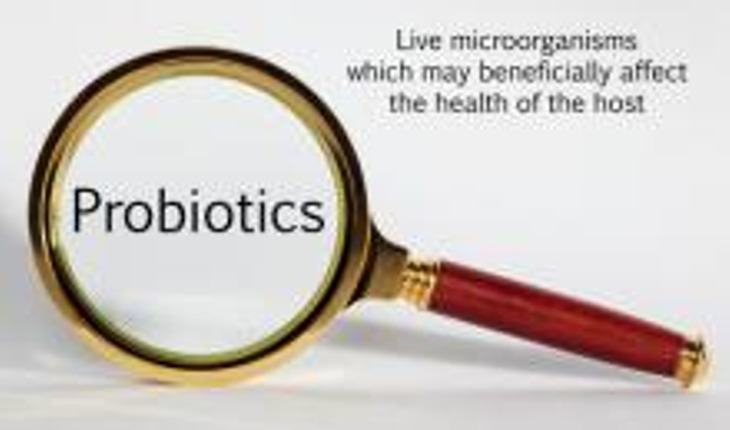 Some probiotic products contain just one strain of bacteria while others have as many as 15 or more. Whether the extra strains are beneficial is open to question, but the most powerful strains are generally regarded to be Lacto- bacillus acidophilus and Bifidobacterium bifidum. L. acidophilus reportedly boosts your immune system. L. acidophilus DDS-1 is an even more powerful cousin of this strain. B. bifidum is supposed to aid digestion, keep your immune system functioning well, and help synthesize B vitamins. Sondra Forsyth, Co-Editor-in-Chief of ThirdAge.com, is the author most recently “Candida Cleanse: The 21-Day Diet to Beat Yeast and Feel Your Best”. This article is an excerpt adapted from the book.